Losing money is asymmetrical, as it feels proportionally so much worse than making a little, right? 2018 was, as opposed to 2017, a negative year and we feel the pain like a familiar punch in the stomach handed by the markets’ many humbling ways. Risk and uncertainty are part of the DNA of the equity markets and the likes of Warren Buffett & Charlie Munger have stated you should be willing to lose 50% if you are investing in the stock market. These investment gurus did lose 50% of their invested assets three times in the course of their career. Very few people have such an aptitude to tolerate losses, can afford them and most of us break down long before 50% losses are tallied up. To win when you are down takes cash, courage, stamina and a long-term view to buy when everybody is selling during a deep correction. Yes, investing looks simple on paper, but is so hard to do in practice. Passing Mount Vesuvius and the old Roman city of Pompeii near Napoli, Italy drives the point home. Catastrophic volcanic eruptions happen rarely and the one that destroyed Pompeii happened in 79AD, arguably a very long time ago. During the last roughly 200 years, no eruption was as fierce as the one that destroyed Pompeii. There were eight eruptions during the 19th century, only three during the 20th century and there have been no eruptions since 1944. Based on this information, would you risk living nearby or around Mount Vesuvius? It looks like eruptions might be a thing of the past, right? You probably think the risk is acceptable; it has been quiet for the last 200 years and you have to live somewhere, capisci? What if we expand the timeline and I told you that Mount Vesuvius erupted repeatedly since 79AD; in 172, 203, 222, 303, 379, 472, 512, 536, 685, 787, 860, 900, 968, 991, 999, 1006, 1037, 1049,1073, 1139, 1150, 1270, 1347, 1500, 1631, and six times during the 18th century. 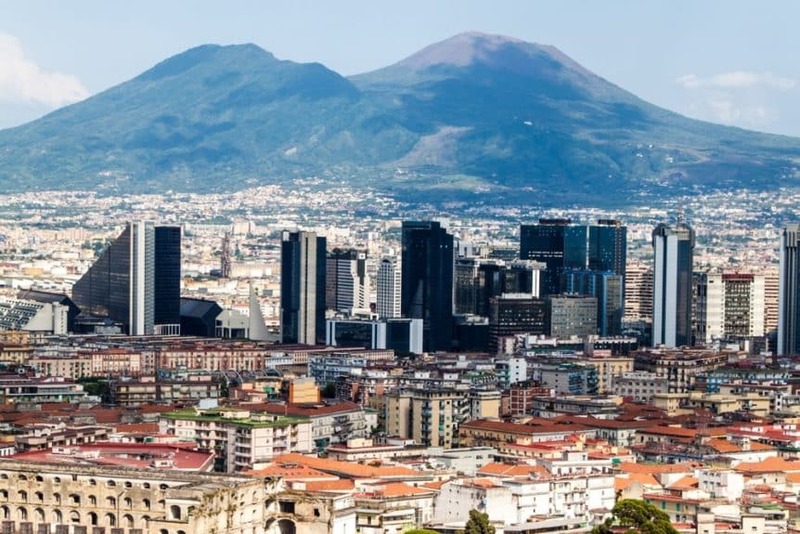 We know recent seismic activity has increased significantly around mount Vesuvius; the tectonic plates never stop moving and are constantly building up pressure that is released only by earthquakes and volcanic eruptions. The longer no pressure is released, the higher the potential becomes for an epic event. That’s right, without giving you statistical references with a standard deviation, this sure looks like a future eruption will happen with 99.9% certainty. We just don’t know when and how fierce it will be. If you lived there, you might already be packing your boxes, right? So, why is it that currently 3 million people live on and around Mount Vesuvius, including the City of Napoli? Three million people cannot be all wrong, can they? So, OKAY, we get it: corrections happen with near certainty and recent history is a lousy guide for the long-term future. We should not worry about the small corrections, neither their frequency. Instead, we should focus on the big ones, the ones that have the potential to destroy half of our assets. Most big equity market corrections have been triggered around some form of debt crisis during a rising interest rate environment. Well it sounds very similar to the current environment. This month the European Central Bank (ECB) stopped its quantitative easing (QE), after injecting $2.7T into the markets over the last 4 years. Last November, the Federal Reserve (FED) started its quantitative tightening (QT) after it injected $3.6T into the markets over the last seven years. This massive increase in liquidity (creation of cash) together with ultra low interest rates drove companies, governments and consumers to borrow cheap cash and to leverage their balance sheets. The world at large has never ever seen this much creation of debt! Quantitative tightening has the same effect as increasing interest rates. It is estimated that roughly $50B of tightening equals an increase of 0.5% in interest rates: this is what the FED is now doing every month. This comes on top of its recent 9 past rate increases and planned ones. This is a significant tightening of liquidity, which will surely have its effects on the markets. We don’t know where the first cracks are going to appear, but a new debt crisis will surely happen again, with 99.9% certainty. Most experts point to the corporate debt market for the first crack-signs. It is obvious why this happens when interest rates are rising: the burden to service the debt increases by paying higher interest often resulting in cash-flow problems. Euler Hermes, an insurance company specializing in corporate credit insurance is predicting a sharp rise in corporate insolvencies in 2019 and onwards. Many highly leveraged companies have to refinance their outstanding debt in the next few years and they will have to do so with much tougher credit conditions. What really matters to us is the change in liquidity and its magnitude. To us, it is clear that we will have headwinds in the equity market for the foreseeable future with a significant economic slowdown in earnings at best (95% chance) or a recession (55% chance) in the next few years. We could be dead wrong of course in which case we should go for another few proverbial slices of pizza in Napoli. But, the telltale signs are pretty clear: the Chinese mainland market fell with 30% during 2018 and cyclical companies have warned us about slowing activity in the USA, China and Europe. Some of these listed companies’ share prices have fallen more than 40% during 2018. The MSCI world equity index lost -18.4% of its value between its peak in September 2018 and its most recent trough of January 2019. Now, if you are Warren or Charlie you don’t care too much about the shifting climate. Actually you are going to be happy. If you liked a company’s share price at $100, you are surely going to love it when it trades at $50. You will get twice as many shares right? How about the rest of us, what should we do? We can only be more prudent, giving up some upside by significantly increasing our cash positions, pay for protection, focus on our investment process, buy low and wait patiently for the tide to change in our favor again. It pays to be optimistic and have little to no debt. Debt cycles come and go, like volcanic eruptions, and the rest is just trying to avoid being at the wrong place at the wrong time.